This month, we are introducing one of our favorite southern classics: Biscuits & Gravy! A flaky buttermilk biscuit topped with our own pork sausage gravy… it’s a perfect snack or entree any time of day. 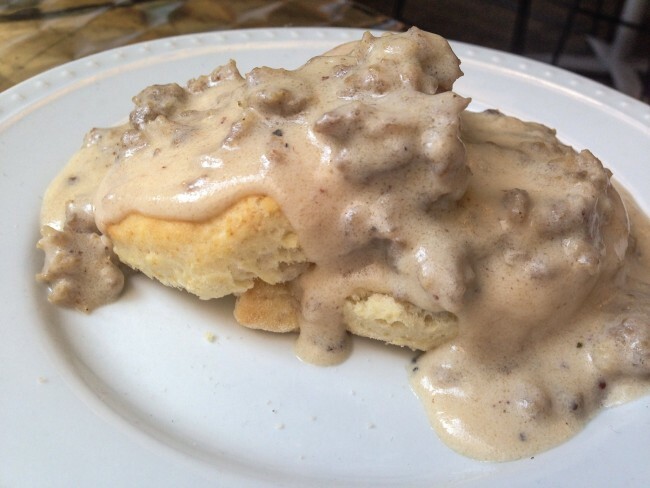 We will be serving Biscuits & Gravy at the pop-up cafe at the Renaissance Marin every Thursday from 9am to 2:30pm. Maybe we’ll bring it to some of our other events this month, so follow us on Facebook to find out!